Horsemaning, or fake beheading, takes its name from the Headless Horseman, an character from “The Legend of Sleepy Hollow.” Sometimes spelled horsemanning, horsemaning was reportedly a popular way to pose in a photograph in the 1920’s. According to the interwebs, the “first” horsemaning photo on the left was discovered at a flea market. After its discovery, a few horsemaning photos began circulating on sites such as RandomlyHeard and others soon joined the creative movement. 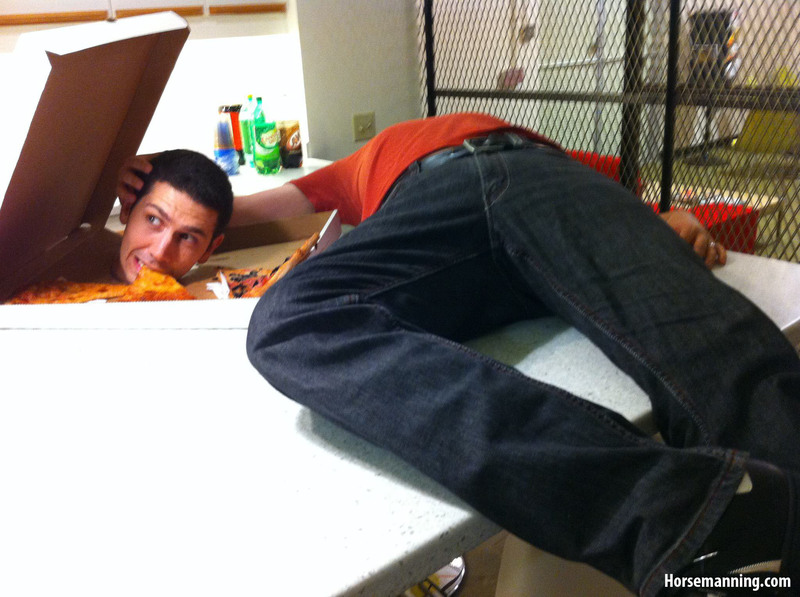 Horsemaning is experiencing currently a revival basically the next form of planking, owling and/or cone-ing. Check out our gallery which even includes some famous celebrities horsemaning! The objective of horsemaning / horsemanning is to give the impression that the photo’s subject has been decapitated; a head detached from a body like the Headless Horseman. 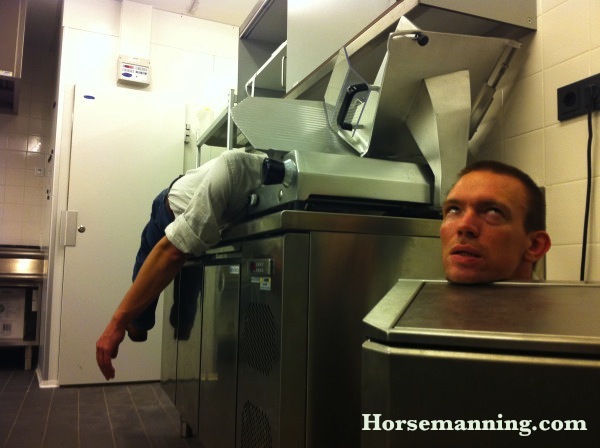 Horsemaning requires two people – one person hides their head as best they can and the other person hides their body, creating a kind of optical illusion if it is done right. We think that horsemaning produces brilliant photos and allows for more creativity than other photo-posing fads such as planking. 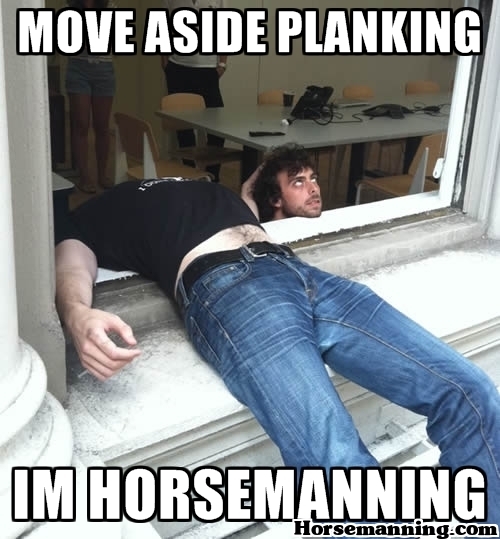 Also, while planking and owling are a solo games, horsemaning encourages social interaction as it requires a partner. Joining the horsemaning / horsemanning movement is simple – just grab a friend friend or two and horseman! Check out our photo gallery for creative ideas and submit your picture for posting. You can also join the social community and even create your own horsemaning meme. Check out the best, at Randomlyheard! 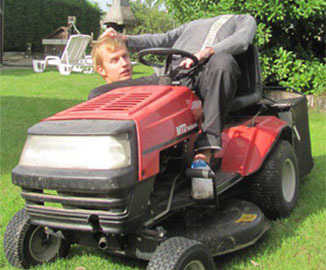 Click to view our horsemaning / horsemanning gallery! For the best Shelf Life and food storage information, visit Eat By Date. It has the all the tips on how long does food last, like shelf life of eggs!